A couple of slick new digital resources caught my attention this week for the pan-Hellenic sanctuary site of Isthmia. I just noticed the total makeover of the University of Chicago’s website for the Temple of Poseidon and the Rachi settlement. The content is mainly the same as the old website but the new form of the website via wordpress has made the information easier to navigate. There are annual reports, a list of major publications, maps of the site, and digital reconstructions of the temple that will be very useful for teaching purposes. One wonders whether there will also be a blog component. 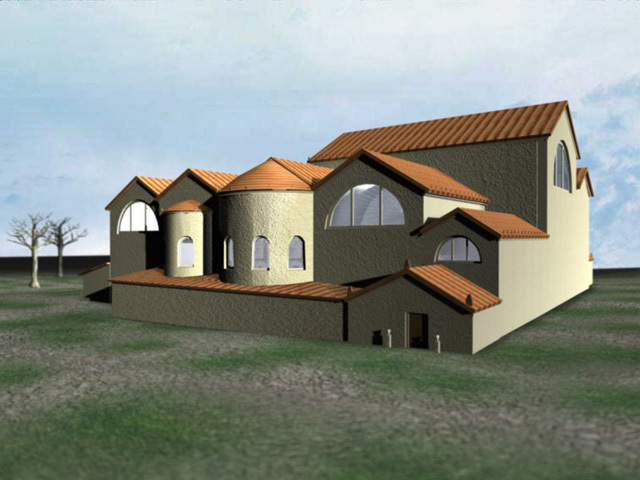 I also noticed that Julie Appley’s virtual reconstruction of the Roman Bath at Isthmia is available via Ohio State’s Advanced Computing Center For the Arts and Designs. Hit the ‘play’ button and get a tour of the bath. I remember Julie working on this about a decade ago when I was a young grad student at OSU. She did this digital reconstruction of the Roman Bath as an M.A. thesis making use of the expertise of Timothy Gregory, Fikret Yegül, and Jayni Reinhard, among others. At Julie’s website, she has made available the ingredients of the reconstruction, including 3D images and a floor plan of the bath. With OSU’s comprehensive website on the Roman Bath, these digital resources provide a lot of useful information on the American excavations at Isthmia over the last half century.